Oh what a year. The biggest haps being Ginny of course. She pretty much trumps everything else and I can't believe she's almost 1! At this time last year I was large and uncomfortable and anxious for her arrival but also enjoying the last days of her in my belly. Seeing pregnant women now definitely makes me a little wistful for that time. 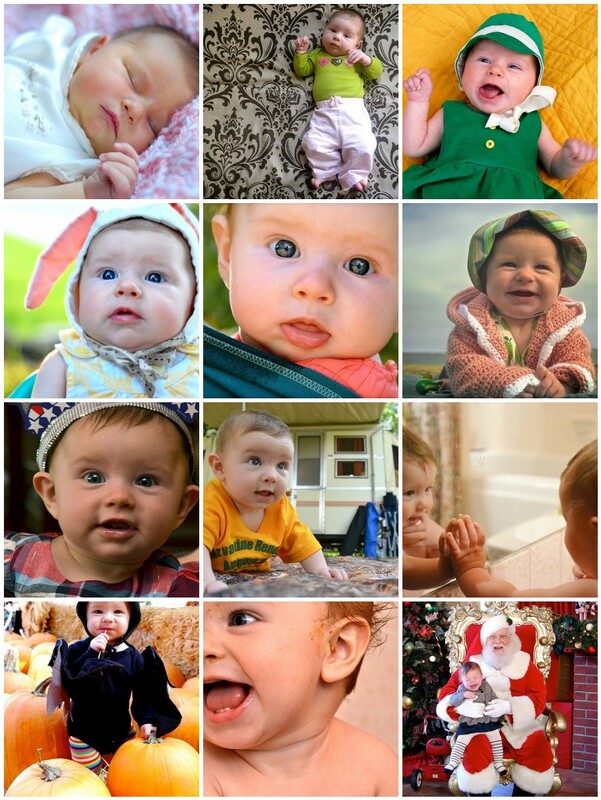 We made a Ginny calendar for Christmas and I've put the photos up on flickr for you to see. A neat thing about having a January baby is how nicely their growth fits into the cycle of a year. It was so fun to sort through our (literally) thousands of photos from 2011 and choose exemplary ones for each month. You can click through to see them full sized. The last photo I doctored up and used as our Christmas card. There's pretty much no point in naming your daughter Virginia if you don't do something like this. 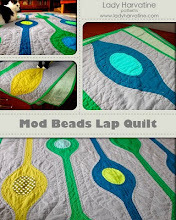 I got a modest amount of sewing done this year, kick started by a weekend in Lake Arrowhead for the LAMQG retreat, just six weeks after Ginny was born. It was such a great trip and an amazing way for me to start working my way out of the new baby fog. 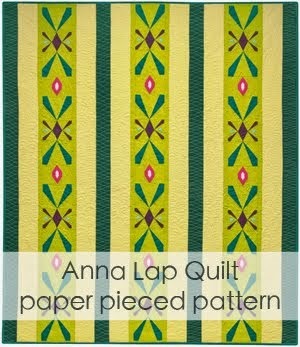 Although there was an acceptable amount of sewing happening there was a pitiful lack of blogging. I still want to share a lot of what I made last year in detail but we'll see if that happens. You know how it is. I was going to share some photos in this post but I don't even have pictures of a lot of what I made this year! Part of that's due to busyness, part just because I've made quite a few tops that have yet to be quilted. The next guild retreat is coming up in a couple of weeks and I hope it will get me in the groove early this year. I've never been one for resolutions but I really want 2012 to bring much more creative energy and the time to share it with you. Oh, yeah. 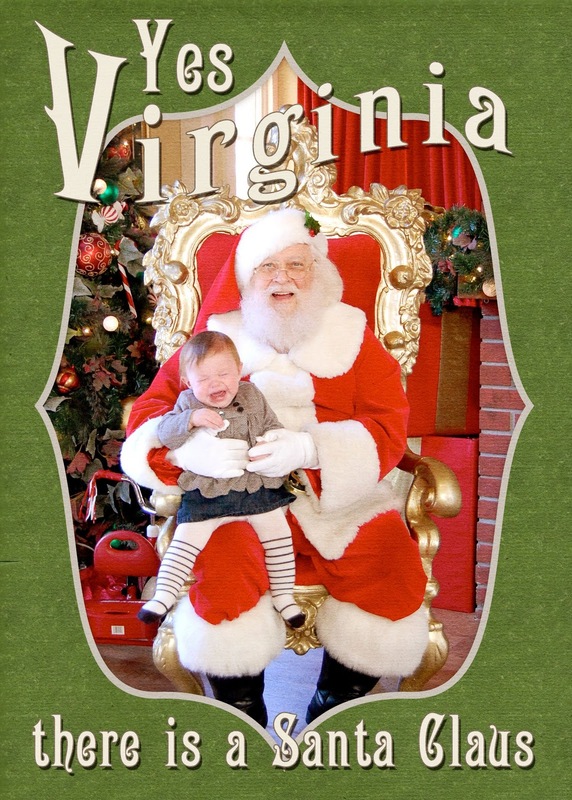 The hysterical baby on Santa's lap. Classic. That's an amazing Christmas card! The calendar is beautiful, what a treasure. Here's to creative energy (& time to create!) in 2012! ginny is absolutely adorable! and yeah, can't believe she's almost 1!! Good to see Ginny... so adorable, and growing! I look forward to seeing what you have been up to in the sewing room. I got the name of your blog from The Plaid Scottie. Kaelin in New Orleans has listed yours as one of the blogs she reads. 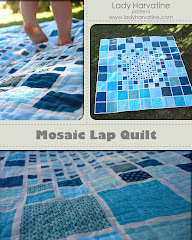 Your styles (quilting and blogging) are similar in a lot of ways. 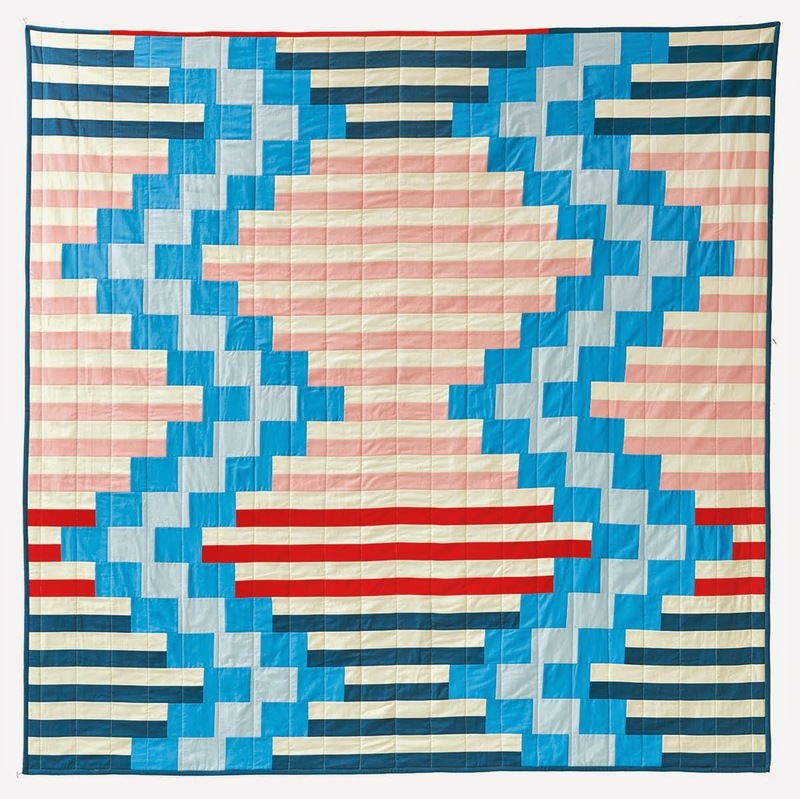 She has a "spider" quilt on her blog like the one you told about with all the math problems. This morning I finished up reading through all your blogs starting from '06 to the present. I sure hope you continue to write, as I will be one of the faithful. Understanding, of course, that Ginny shot to the top of your list of priorities, pushing your blog farther down. I am contemplating starting one myself, but I want to make sure I have the time to do it right (not half-assed, (lol - your favorite adjective). Your little girl is adorable and is so lucky to have such loving, bright, creative, and devoted parents. So sorry for the loss of your mother-in-law. We have recently gone through the same losses, both mothers and a step mother in three years. Sad but such is the circle of life. I learned that my granddaughter was born when I was on my way back home from my mother's funeral in May 2010. I knew in my heart that we had one lady leaving the world and another little one entering life. Made a sad occasion easier to cope with. I will be looking for future posts from you.